I haven't yet met someone who doesn't want to achieve a lifestyle where the physical, social, emotional, and spiritual components are healthy and balanced, like smoothly spinning gears. That being said, I rarely meet someone who feels like she's regularly living that balanced lifestyle, myself included. This lack of balance was my impetus for writing this post about the necessity of reclaiming life margin. Today we'll look at a third practical tip: Knowing What Refreshes You. This tip sounds unnecessarily basic, doesn't it? But how many times have we stumbled upon a spare hour and wasted it by mindlessly scrolling on Facebook with a vague sensation of discontent instead of using that hour well? Simply put, I'm not always in tune with what I really need. Sometimes I eat because I'm bored, not because I'm hungry. I watch TV because I'm too tired to do anything else, when perhaps I should just go to bed and get a good night's sleep. I fritter away small segments of time and reach the end of the day, unsure of where it all went. Now, today's tip is not about squeezing more activity into our days or increasing our productivity. Rather, it's inviting us to assess whether we're building life-giving elements into our schedules, those endeavors that invigorate us. I've taken inventory. I know what refreshes me. Writing regularly, whether in a journal or on this blog, transforms my swirling thoughts into a coherent shape and brings clarity into my life. Exercising boosts my mood and physical health. Spending time outdoors draws my attention to nature and breaks the constant pull toward a screen-saturated lifestyle. Immersing myself in a DIY project lets me tap into creativity. Spending time praying and reading devotionals in the morning brings hope, lifts my spirit, and grounds me for the day ahead. And I didn't even mention organizing closets. Oh, I love a good hour of closet organization! Don't get me started! The more ordered my space is, the more ordered my life feels. Beyond this, the older I get, the more I need adequate sleep each night. Gone are the days when I could stay up until one or two in the morning and still function the next day. These are the things that refresh me. Of course, I'm not suggesting that I don't occasionally crash on the couch at the end of a tiring day and mindlessly watch back-to-back episodes of Fixer Upper or Chopped, staying awake against better judgment because I "need" to see the final house transformation or learn which chef's dish is on the chopping block. 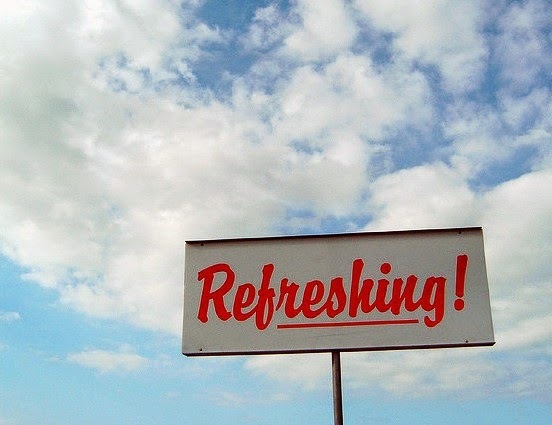 Today, would you take inventory of what refreshes you? Do you thrive when dinner is prepared early so you're not scrambling at 5:00 in the afternoon? Do you need to call a friend or schedule a date night with your spouse? Do you simply need to pamper yourself, like getting your hair cut or your nails done? Take inventory, and then take action to build these life-giving elements into your schedule, even if in small increments. Sometimes adding good things can expand your life margin, too.